Renaissance Florence has often been described as the birthplace of modern individualism, as reflected in the individual genius of its great artists, scholars, and statesmen. The historical research of recent decades has instead shown that Florentines during the Renaissance remained enmeshed in relationships of family, neighborhood, guild, patronage, and religion that, from a twenty-first-century perspective, greatly limited the scope of individual thought and action. The sixteen essays in this volume expand the groundbreaking work of Gene Brucker, the historian in recent decades who has been most responsible for the discovery and exploration of these pre-modern qualities of the Florentine Renaissance. 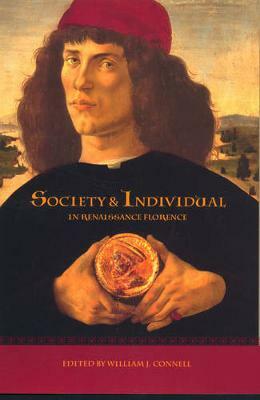 Exploring new approaches to the social world of Florentines during this fascinating era, the essays are arranged in three groups. The first deals with the exceptionally resilient and homogenous Florentine merchant elite, the true protagonist of much of Florentine history. The second considers Florentine religion and Florence's turbulent relations with the Church. The last group of essays looks at criminals, expatriates, and other outsiders to Florentine society.